As part of our long term strategy covering a number of digital issues, Young Pirates of Europe, a federation of seven European digital rights youth organisations, is carrying out the project “Creating a network of young campaigners demanding a modern copyright reform” during the year of 2017. Our aim is to build a European youth movement to demand a rights-based copyright reform, in order to enable young people across Europe to share cultural works, strengthen social cohesion and foster exchange of knowledge. As per the International Covenant on Economic, Social and Cultural Rights, one of the core human rights instruments at the United Nations, everyone has a right to take part in cultural life, enjoy the benefits of scientific progress as well as authorship rights. Copyright policy often goes too far and unnecessarily limits cultural freedom and participation as well as freedom of expression, while inadequately protecting authors rights against exploitation by publishers, producers and distributors. A successful copyright reform therefore has to tackle both sides, respecting the human rights of both creators and the general public. Inform, educate and train young people on the need for a rights-based copyright reform to enable multicultural exchange, due to the widespread current inability of young people to legally access cultural works. Empower and deepen the structures of the YPE network, especially to be a role model regarding social inclusion, diversity, equality, and interculturalism. To achieve these aims we are planning a series of events throughout 2017 to enable young people across Europe to partake in this European youth movement to demand a rights-based copyright reform, to act as multipliers and have the means to advocate policy makers and share their knowledge to educate other young people as well as to reach out to policy makers on a European or national level as well as other stakeholders to inform them about the European youths demands for copyright reform. 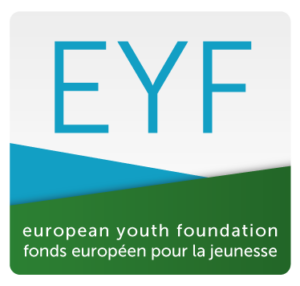 This project is carried out by Young Pirates of Europe with the support of the Council of Europe and the European Youth Foundation. As one of the most mature international pirate organisations, we try to encourage good governance and positive activism in others. Currently, our delegated international coordinators are Charalampos Kyritsis (Secretary-General) and Magnus Hulterström (Treasurer).